I could not wait to get on the slopes after the snow Mother Nature blessed us with yesterday. This morning I woke up, packed my car, convinced my Dad to come to the slopes and headed to Catamount Mountain Resort where they received 6” of freshies! When I arrived to Catamount things looked a little different. They just redid their lodge, and it looks awesome! I got a ticket, geared up and hit the slopes. Catamount now has the RFID technology for lift tickets, which made getting on the lift a breeze. The views on the chairlift were beautiful. The sun was shining, the sky was blue and the fresh snow sparkled. It was a true bluebird day! Catamount has a great variety of trails from easy-expert. I am always up for the challenge of just letting my skis take me where they want to go, today it was all over the mountain, from groomed terrain to powder to moguls. With all the soft snow I was up for anything and I enjoyed every trail I was on. All the different cut off trails are one of my favorite things about Catamount. I love starting on one trail and breaking off into another direction. People were excited for the new snow, and shredding anywhere they could to get those fresh tracks. One man told me he called into work and told them he couldn’t come to work today because he just had to ski! It sure was a good day to call in! 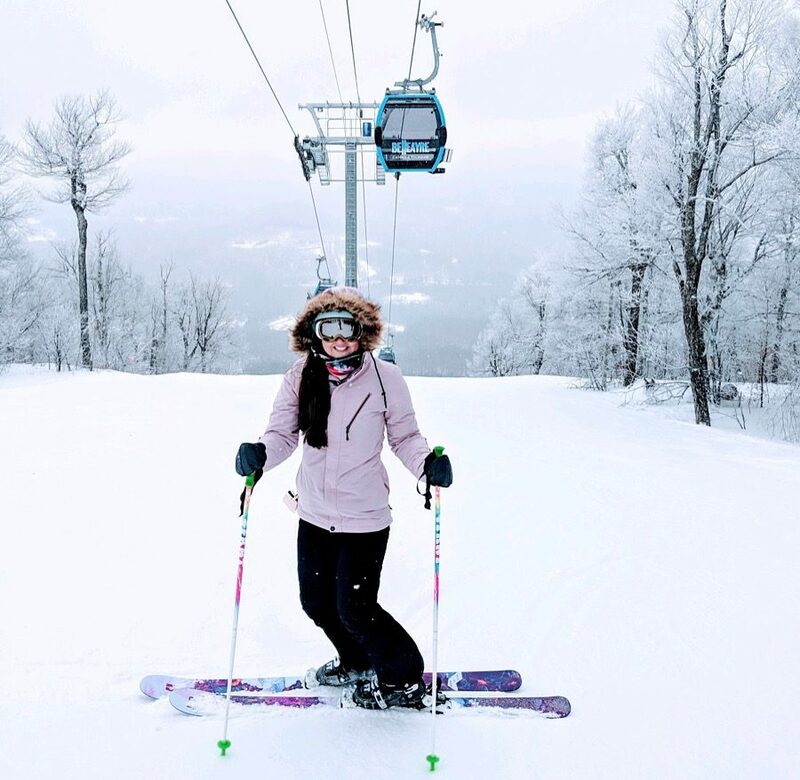 If anyone else is thinking of calling in this week, remember that Catamount offers $20 online lift tickets until Thursday. With fresh snow the slopes will be great this weekend. Remember to bundle up if you ski the next few days as temps drop. Conditions will be great but it will be cold! Hand warmers and layers are definitely a must! Next To the Adirondacks I go!